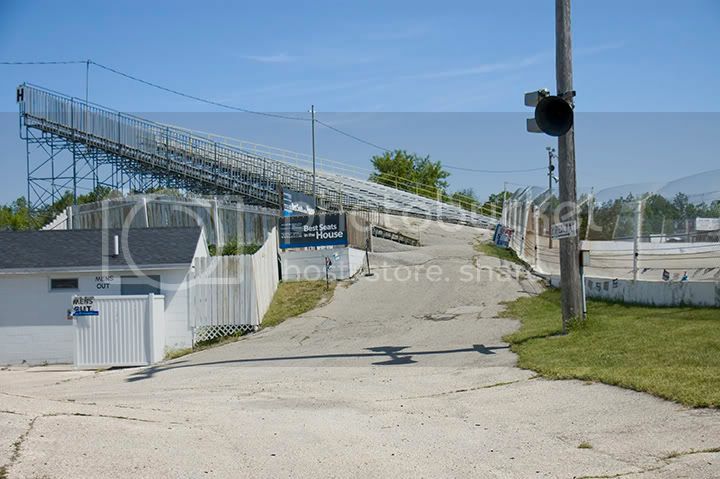 Rubber@Road: Slinger Speedway – The World’s Fastest ¼ Mile Oval! 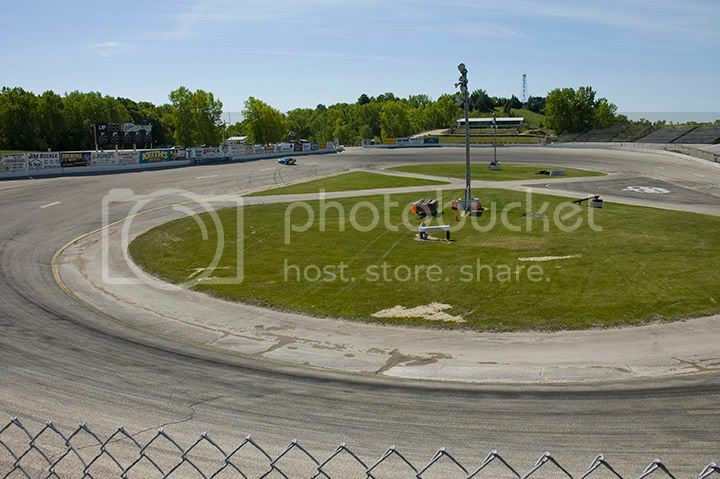 Slinger Speedway – The World’s Fastest ¼ Mile Oval! 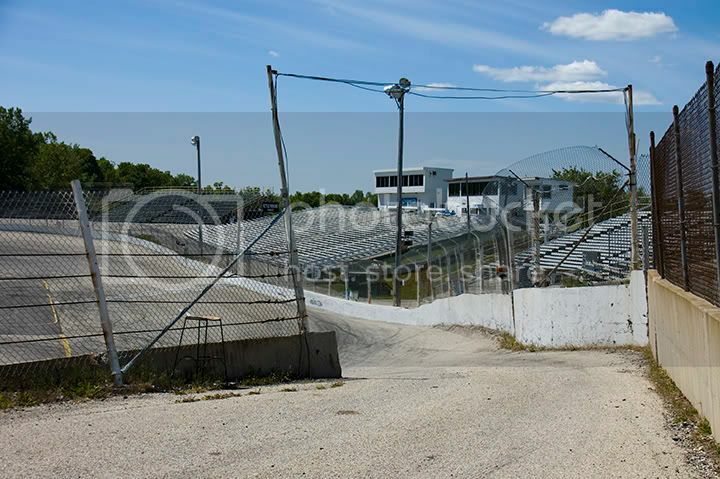 The ¼ mile oval at Slinger Speedway had never exerted enough of a pull on me to draw me up there. In fact, centrifugal force may have kept me away. 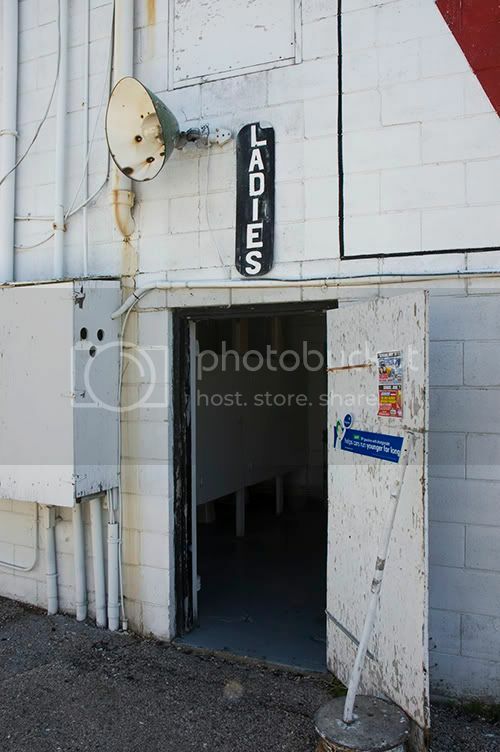 I knew it was there, had been there as long as anyone knows, and was still an active venue. A quarter mile is a standard unit of automotive performance. Drag strips are a quarter mile, and quarter mile times are the means for comparing a car’s acceleration. But when you bend a quarter mile into an oval, it’s a whole different beast. I will admit I am a racing snob. Formula 1 is the only series I follow anymore. Once I was a NASCAR fan, when a stock car was actually built from a stock car, and the NHL had six teams, but I never went as deep as minor league oval-track racing. Oh, I know it’s the heartbeat of America. Thousands of these short tracks sprang up across the country in the wake of WWII, when Detroit stopped building tanks and went back to building cars. But yesterday, even though it was a Thursday morning and I knew there would be nothing going on, I felt the pull. 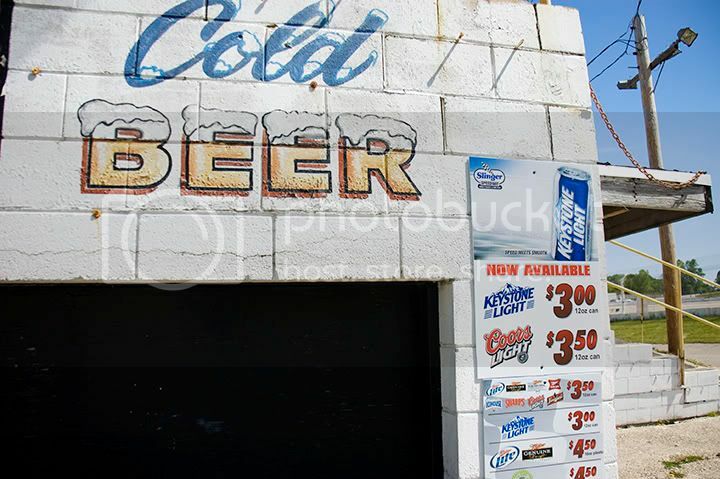 After spending a few hours there, I can’t wait to get back to Slinger on a summer Sunday night. This, dear readers, is pure Americana. You can practically hear John Mellencamp coming out of the loudspeakers even when they’re off. Yeah, these people race cars purely for the love of racing cars. 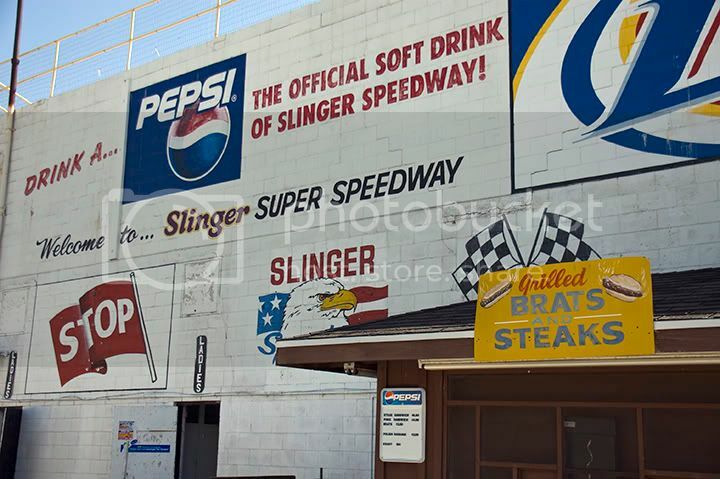 Slinger is what some folks call a bullring. It’s really a giant bowl dug into the ground, with the walls banked at 33 degrees (remember? 90 degrees is straight up) most of the way around, with wooden bleachers set up around the rim. You can easily see the whole track from any seat in the house, and the only thing separating you from the bulls is a chain-link fence. 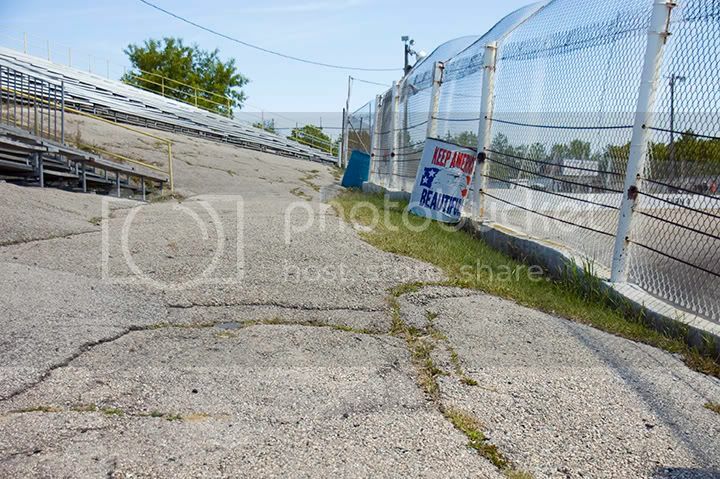 There’s a lot more to say about Slinger, but for now, look at this scene and know that this is an arena where men in machines compete fender to fender every summer Sunday night, and even race the figure eight. Uh huh. The figure eight. Don’t ask. You have to see it. Labels: "auto racing", "Jeff Blackwell", "Jeffery Blackwell", "Late model stock cars", "late model", "Slinger, "Slinger Speedway", "stock car racing", "stock car", NASCAR, WI"
My name is Tom McGinn They call me "Lightning " at my local track. I have always been a car guy. 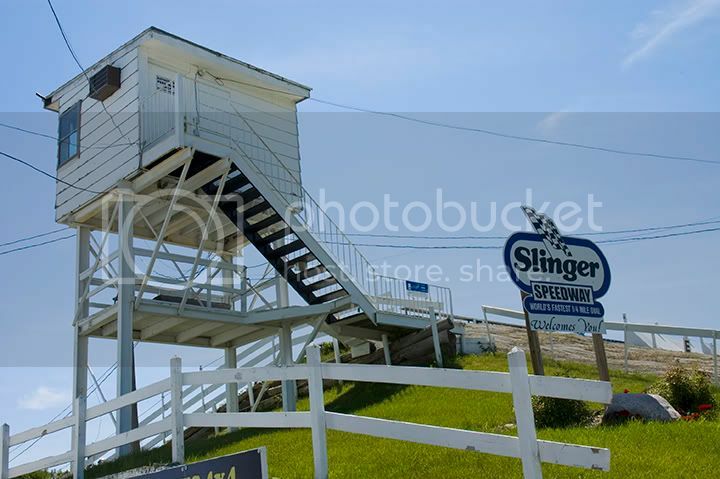 My wife was raised and grew up in Slinger and grew up on the track so we are going to visit for 2 weeks in July. I started working on car when I was 17 year old. I'm a bit older now and a bit wiser too. If your one ? You know what I mean !!! I watched on TV and even went to race when I could Growing up. About 8 years ago I actually found myself behind the wheel of a "STOCK CAR "
if you know of any body willing to rent out a car please let me know.